We accept reservations up to one month in advance for your guests and party. Please advise us of any special accommodations that you may need before your arrival. Prefer to make your reservation via phone? You can make a reservations by calling (732) 972-2225 between our business hours. Catering and Events are opportunities for us to work more closely with our guests, occasions for us to share our dedication to celebration in exciting new ways. Please inquire about our catering services and custom sushi platters via phone by calling 732-972-2225. Reserve your guests an unforgettable and delicious dining experience. 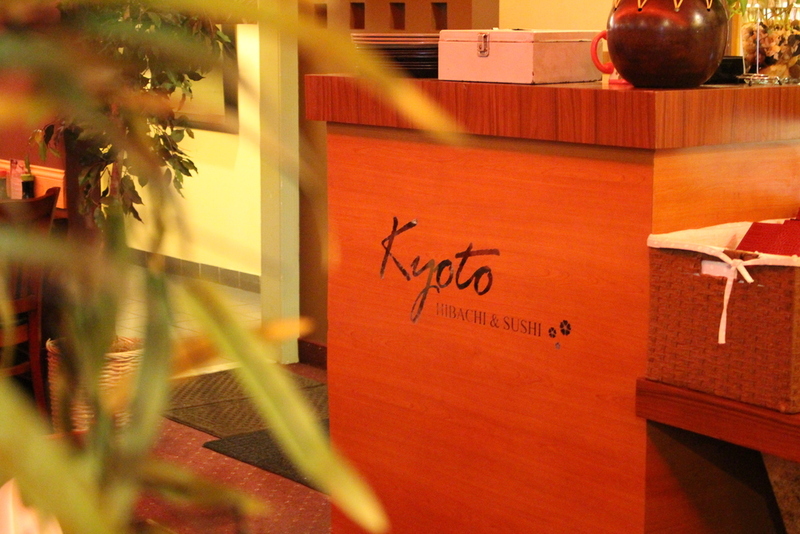 Kyoto can accommodate any number of guests at either our Sushi Tables, or Hibachi grills. In both sections, guests can freely order dishes from the sushi, kitchen, and hibachi menus. We recommend reservations for peak dining hours, especially Friday and Saturday evenings, or on special occasions such as graduation dates and major holidays. Call (732) 972-2225 to reserve your table for your party and guests or inquire about catering services.